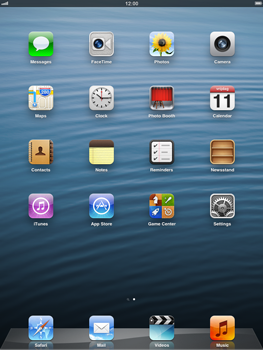 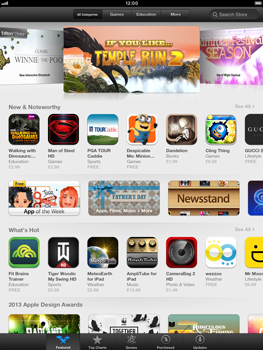 To install apps from the App Store on your iPad mini, you will need an Apple ID. 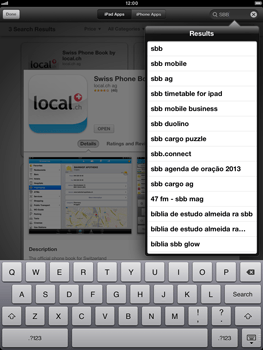 Use the tabs to navigate through the different categories, or (in this case) choose Search Store to search for specific apps. 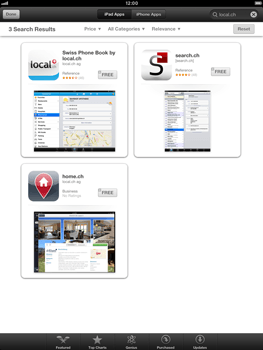 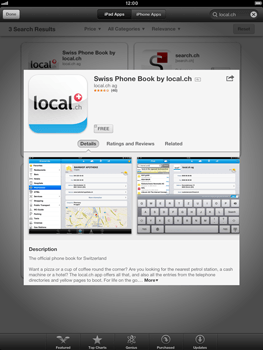 Choose an app, in this case Swiss Phone Book by local.ch. 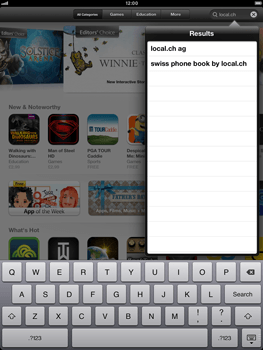 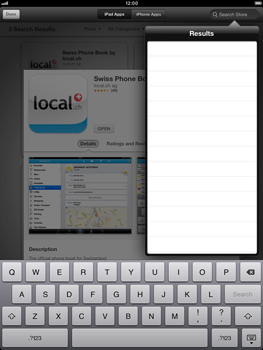 Choose OPEN to start the Swiss Phone Book app, or ,in this case, choose the search bar. 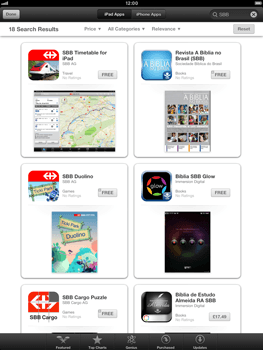 Choose an app, in this case SBB Timetable for iPad.